Open to all 2019-20 incoming 5th-8th graders. Rides will be Tuesdays and Thursdays from 8am – 12pm. *New this year – Teams will be offered in 2 sessions. $0 – This program is free. The middle school version of the Girls’ team. 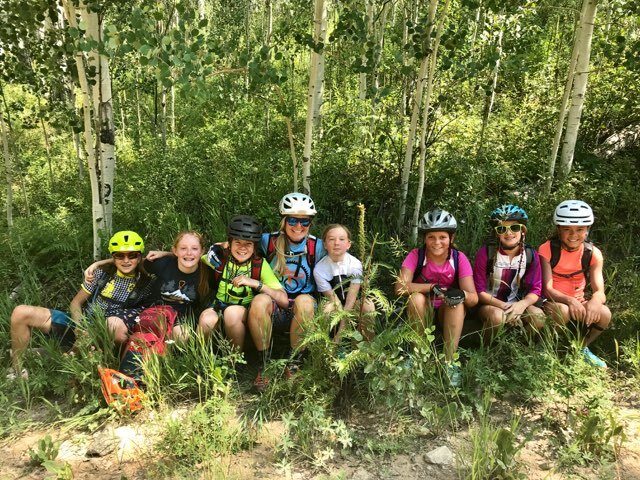 Aimed at creating a fun, relaxed, and accessible riding experience for girls in middle school. For grades 5-8. Practices will meet in a central location. Locations, rides, routes, are to be determined and will be communicated weekly. Coaches may vary from practice to practice. In the event of inclement weather, rides will be canceled. In those circumstances, alternative ride dates will be scheduled in summer to ensure the 8 practices/session are met. Alternative activities may be adopted including mechanic skills, trail building, and team building.